The Antigua Cantilever Umbrella is our most popular cantilever yet, ensure you have even more flexibility with the Antigua Genova Umbrella Base in Granite! 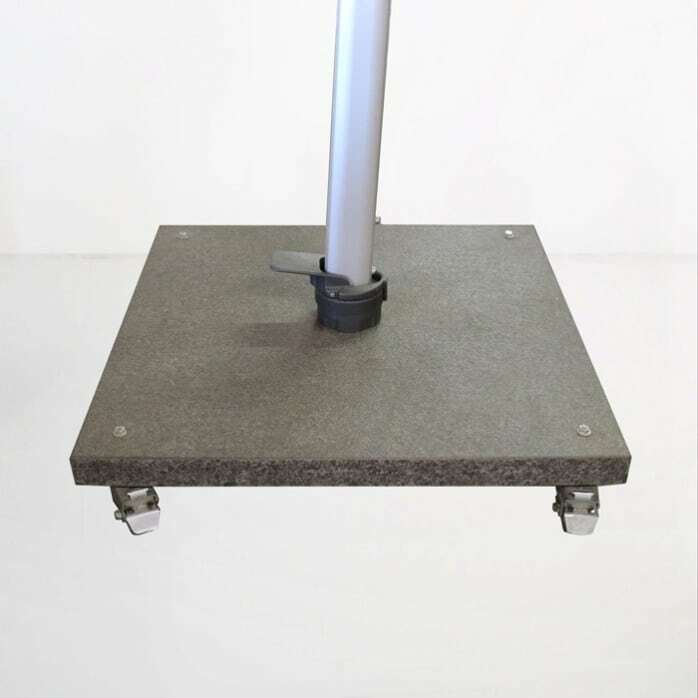 This brilliant easy to move base is 80cm squared; making it simple to move your 3 metre cantilever umbrella around with this wonderful granite base with casters, so you can lock it in place and not worry about a thing! The Antigua Genova Umbrella Base has been made specifically to provide support and security to the Antigua Cantilever Umbrella. The Antigua Genova Umbrella Base weighs 82kg. Imagine your vast outdoor area. You don’t want to cover the whole area all the time, but you want to be able to cover your sun loungers, your Deep Seating Area and your Dining Area? This brilliant easy to move base with gorgeous, opulent Antigua Cantilever Umbrella will solve all your problems. 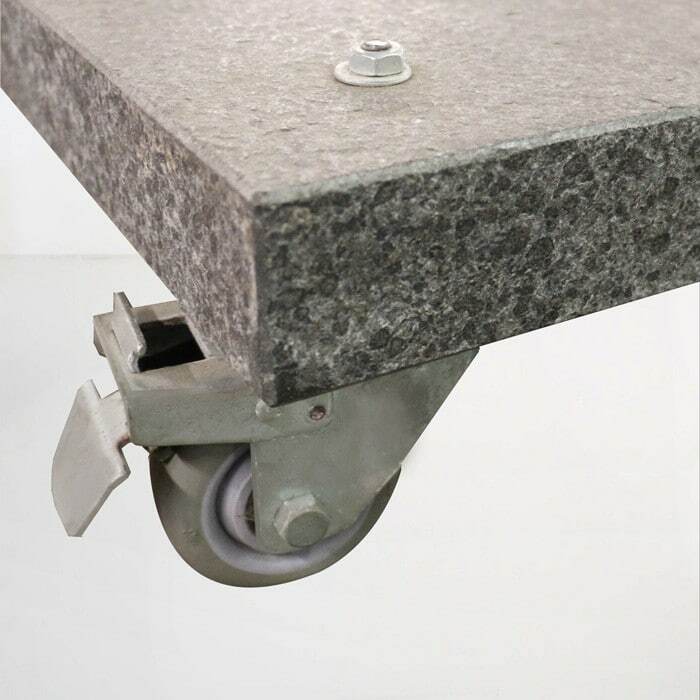 The granite base is a perfect modern and raw finish and will ensure that your umbrella will stay in place, the casters on the bottom will ensure that you can place it wherever and whenever you like! The Antigua Cantilever umbrella fits this umbrella base and is kept in place by bolts and screws. Don’t be fooled by other umbrella bases, this is the best fit for our Antigua Cantilever Umbrella and it is the only one we recommend to get the most out of your umbrella, especially in providing safety as well as being aesthetically pleasing. You can also choose a simple in-ground base, for a clean fixed look, but it doesn’t give you the same flexibility as this ingenious easy to move base. 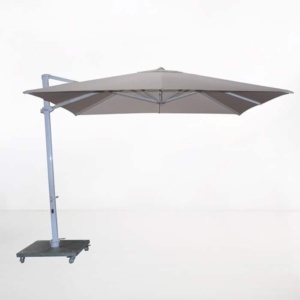 Have questions about the perfect base for your cantilever umbrella? Call us now! Our sales staff are in store 7 days a week and happy to help!